You’ll know from some recent summer posts, I’ve been doing a few decorative DIY projects and really enjoying the process. Back in the Summer, I made these great numbers and decoration for our Front Door, and then more recently I created some of my own wall art for my youngest daughter’s bedroom. So, to continue this theme, I’ve been making and updating a few bits for the older daughter’s Tween Bedroom Makeover. 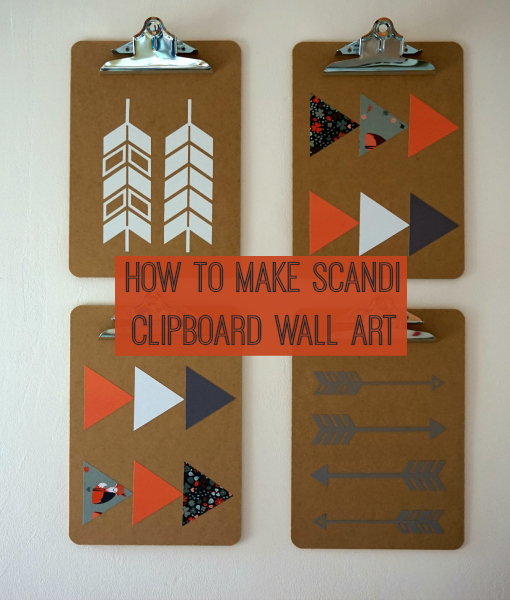 You can see the makeover inspiration here, and also check out the paint colours we’ve already used here, but today I want to show you these really easy to make decorative clipboards, that are both practical and pretty. They will also make great wall art when not in use. 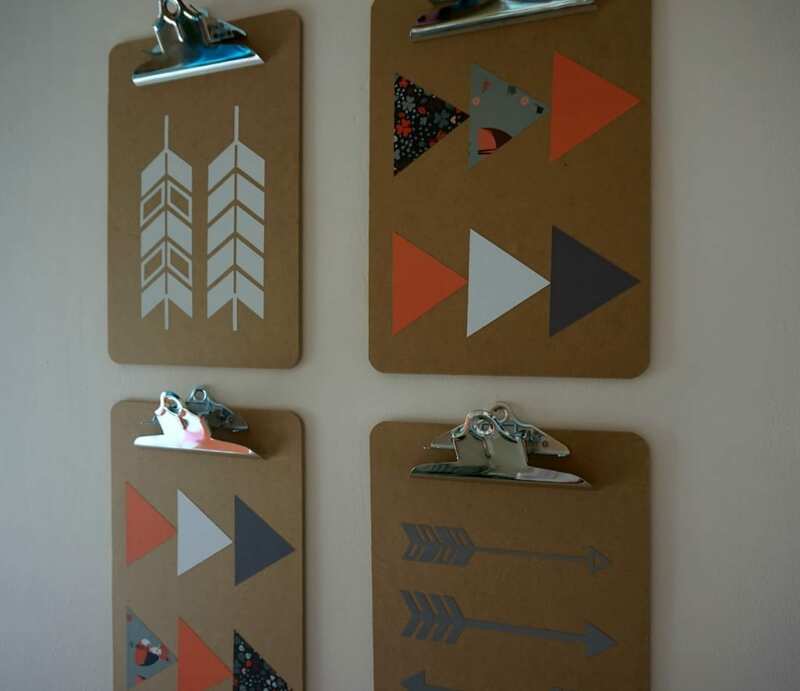 These are so simple to make and look really effective up on the wall. I found a set of 6 clipboards on eBay for just £10. The other two are currently awaiting decoration for another project. 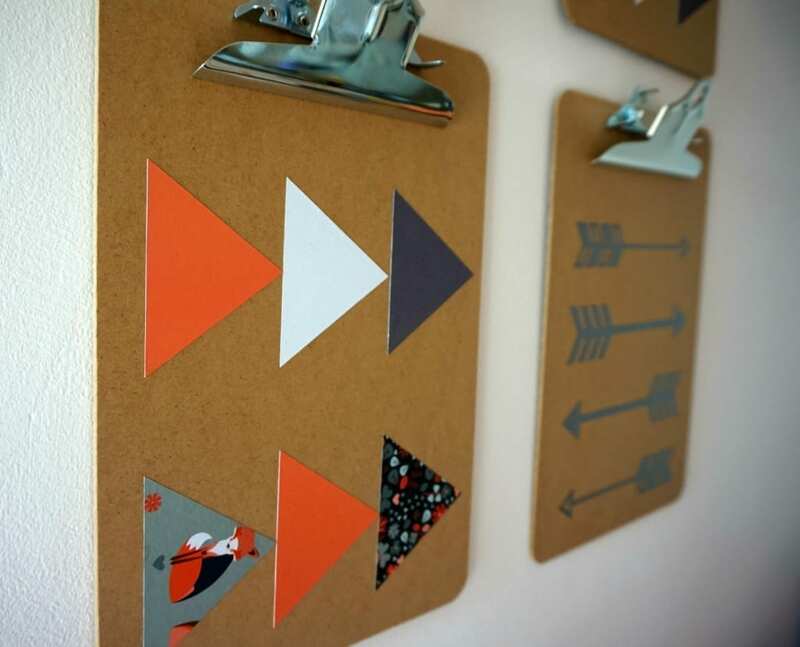 Of course you can use any kind of clipboard but I favoured this type with a display hook at the back as I knew I wanted to hang them on the wall. I knew I wanted to give the set a Scandi feel that would add some interest to the plain walls in the bedroom. I had been scouring the Design Space Cricut software and seen the range of arrows before, so had them in mind for this project. I started with the white arrows and then worked on from there. 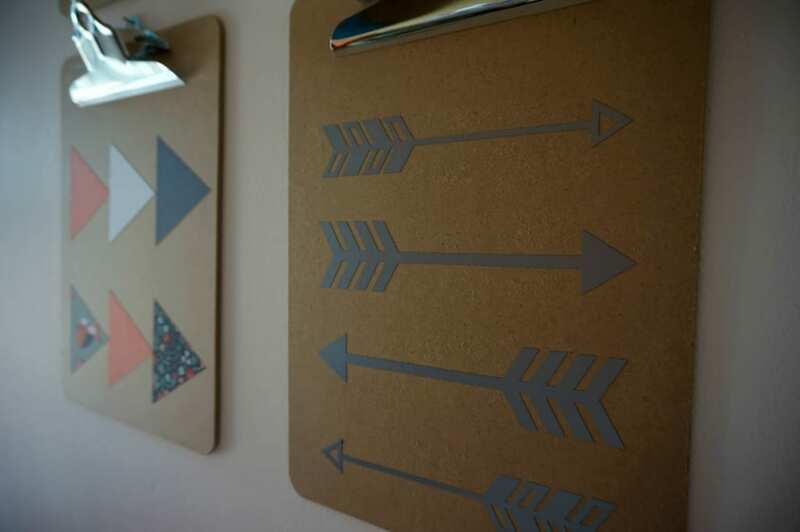 The arrows are made out of Cricut Vinyl, a sort of sticky backed plastic that I had in both grey and white, but I wanted to add some pattern to the display so decided to try out some different papers I had. The coloured/printed paper is from a company called Too Wrapped Up, and it’s just standard wrapping paper. I’m running a giveaway from them later in the week so do look out for that. 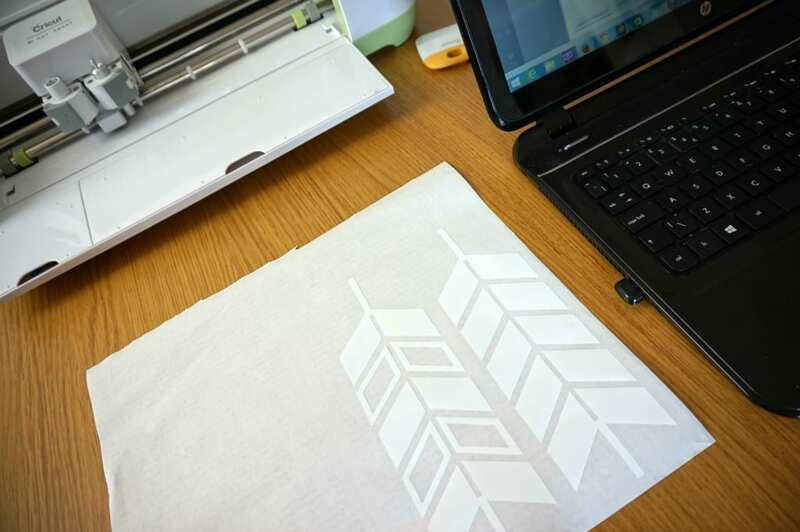 The colour combination in the wrapping paper was a perfect match for my tween’s bedroom makeover so I set up the Cricut to cut out the arrows, and once complete I glued them in place. I hope none of you Cricut experts look too closely at the state of my cutting mat! It needs cleaning. So, with all the pieces cut, it was time to stick them down, and see what kind of display I could put together. It’s one of the first touches I’ve added to the bedroom and I couldn’t be happier. Miss E loves them, and I’ve noticed her taking them down off the wall to use for her homework. You see, pretty and practical. 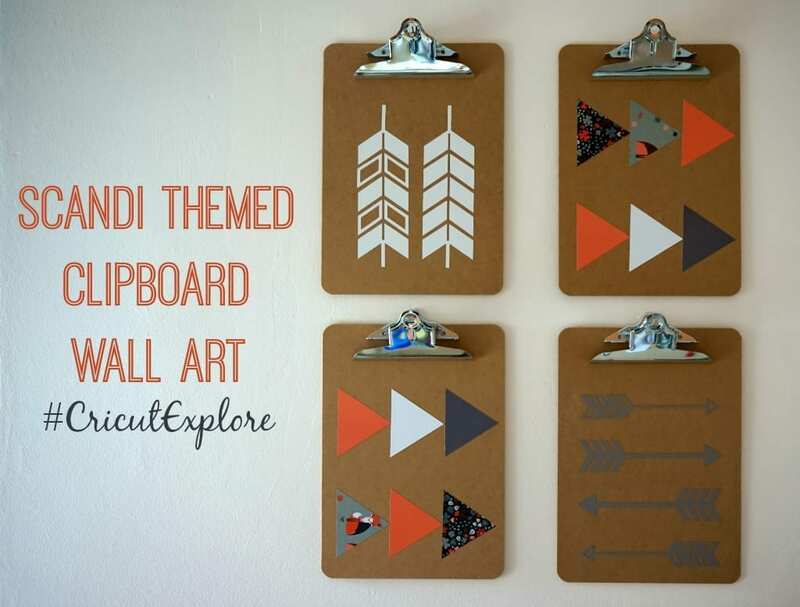 I’m a big DIY wall art fan, so so check out my Love Chic Wall Art Pinterest board, if you’re looking more for wall art inspiration and feel free to send me any favourite images you find on Pinterest too. I would love to see some. My Home Bloggers Collaborative Pinterest board, where interior bloggers come together to share some of their favourite inspiration, is also really popular and well worth a browse over a cuppa. 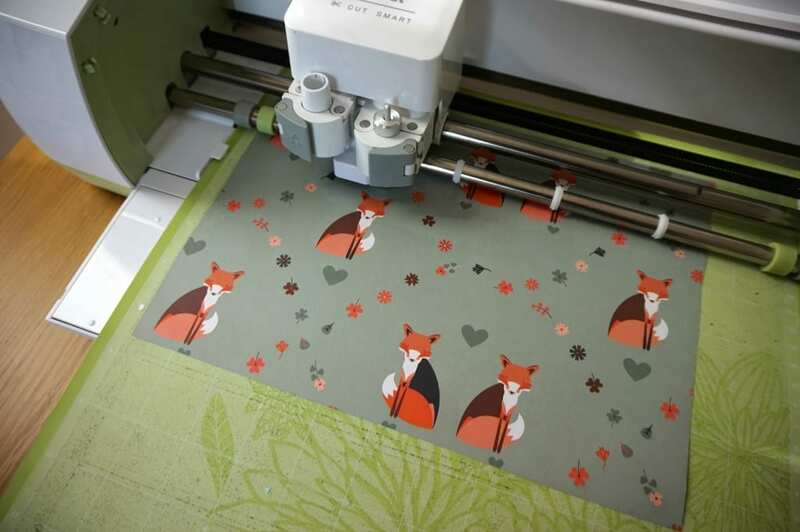 If you you like what you see here, do have a look at my full Cricut Explore review, with more images on how the machine works. And you if you want to research it further, you can read more on the Cricut website here. Wow. We have tons of plain and boring clip board at home maybe i could do the same. Thank you for the ideas. Hello, love your article!, i imagine that i can use this for decorate my pillows? thanks!